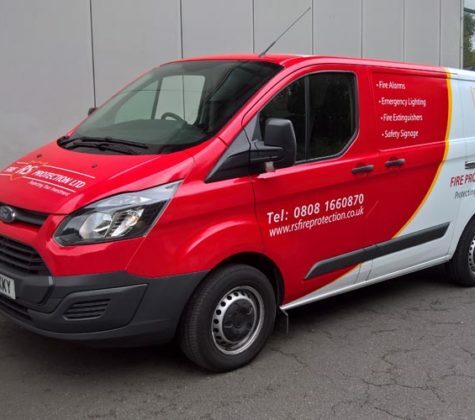 An attractive livery for your vehicles is an assured way of getting your brand noticed. We are experts at optimising your vehicle’s potential for branding. 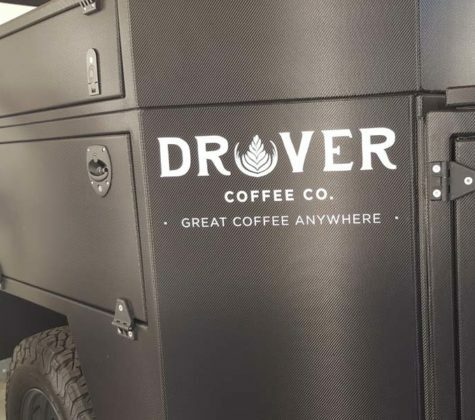 The decals and cut lettering applied to this Landrover Defender created a cool, distinctive look and feel for this upmarket coffee brand. A striking red and white swoosh creates an eye-catching graphic device on RS Fire Protection’s vehicles.